On May 28, RI alumnus Nominated Member of Parliament Eugene Tan, speaking about the issue of meritocracy and inequality in Parliament, ignited controversy when he called his alma mater “less of a beacon of hope”. This brought to my mind Senior Deputy Principal Mr Magendiran brandishing a copy of Christopher Hayes’ “Twilight of the Elites” in the Multi-Purpose Hall during the January Induction Programme, and discussing whether the book’s argument, of America having been consumed by a “cult of smartness” that created ever greater inequality, was applicable to our esteemed Institution. Beyond the common debate about the enormous gulf separating Rafflesians from the rest of Singaporeans, few of us have paused to consider the question of inequality within our own school and the broad divides that exist among Rafflesian students. In particular, I believe that equality within our institution has been undermined with the Raffles Academy (RA) programme, creating a curriculum within a curriculum, and a widening academic gulf between the haves and the have-nots. It happens that I have the privilege of being friends with many highly intelligent, bright and deserving students who have joined the Raffles Academy, whether in Y3 or Y5. I am aware that my friends have benefited greatly from a more advanced curriculum, enrichment programmes, and studying with similarly interested and highly capable peers. Several I spoke to expressed their unwavering support for the RA and agreement with its precepts. With the utmost respect for their opinion and the decision they have made, I wish to offer my personal, alternative perspective on why I chose not to join their ranks. These reasons motivated me to firmly reject three RA offers in Y2 and decline the chance to apply for the RA in Y5. Till this day I can say with all my heart that I do not regret my decision. It has given me the opportunity to view the RA through a different lens; an alternative perspective which I believe deserves more consideration. To begin with, what I find most astonishing of all is that instead of being scrutinised, the RA status quo of privileging a select, highly capable few has been silently accepted with a mix of detachment and acquiescence. But I believe this is precisely why the RA merits even more concern. Collective apathy at large by those excluded, and enthusiastic participation by the few included, leads to a lack of diversity of viewpoints. It is precisely because these RA students are so greatly privileged that the programme as a whole – and its possible demerits – needs to be examined. Certain persons … fell into schemes of putting all arts, sciences, languages, and mechanicks upon a new foot. To this end, they procured an academy … In these colleges, the professors contrive new rules and methods of agriculture and building, and new instruments and tools for all trades and manufactures … with innumerable other happy proposals … the only inconvenience is, that none of these projects are yet brought to perfection. What is undeniable is that in separating a few supposedly better, more deserving students from the rest of the cohort and providing tailored, customised opportunities for them to excel, the school is making them literally a class apart and figuratively a class above. They study a separate syllabus, grounded in but extending beyond the A-Level H2 syllabus: more advanced tutorials and separate lectures specially prepared for RA Chem students, RA Physics students having notes divided into sections marked “H2 content” and “RA content”. Beyond this, however, RA students also have access to a host of privileges, such as extra activities, competitions, and special programmes, that deserve to be scrutinized. This includes extra enrichment programmes (distinct from the programmes during Monday Protected Time) which are available only to RA students such as the compulsory Research Immersion Programme open to RA Bio students, involving numerous afternoon sessions in the OpenLab, and the fact that only RA Physics students are eligible for training and selection for the Singapore Physics Olympiad (unlike the Biology and Chemistry Olympiads, where any sufficiently competent student has a chance at a place on the team). RA classes also have the advantage of being significantly smaller than the maximum class size of 27 students in mainstream classes. Though it is often claimed that timetabling constraints necessitate placing RA students together, this demands scrutiny, since much effort is made to accommodate contrasting subjects. This is not helped by the surprising variety of combinations. As such, RA classes’ timetables are a fragmented mess, with KI, H1 MT, Geography, History, ELL and Economics all showing up. There are advantages to a smaller class size, one of which is to enable a faster pace of learning. As one RA student put it, smaller classes mean RA students “are better able to concentrate”. 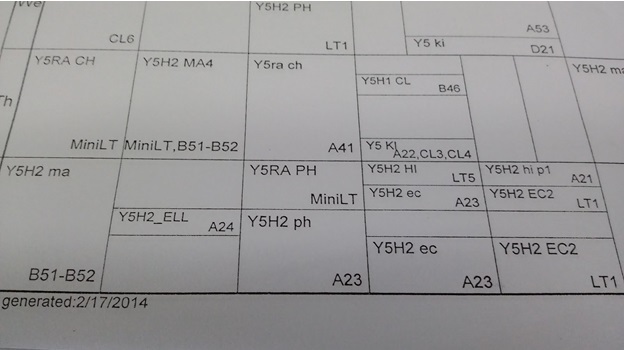 A portion of the timetable of a RA class, showing the variety of contrasting subjects. But beyond differences in curriculum and class sizes, RA students seem to be given privileges that extend beyond the arena of academic instruction. For instance, why do RA classes get to go for their class camps together on the same date, and before everyone else? Furthermore, why are all RA students, Math RA or not, in a separate lecture group for Math (MA4), while their “lectures” are not conducted in LTs, but in classrooms (the Mini-LT, B51 and B52), making them effectively bigger tutorials? Why are even non-Math-RA students deliberately separated out from “the rest”? When asked about the special Math lecture group arrangement, a non-Math-RA student unflinchingly told me, “It’s much better. Or else we wouldn’t be able to pay attention.” I couldn’t help but flinch. All these privileges might seem justifiable. After all, in Singapore’s race-to-the-top meritocratic education system, it is quite natural that those at the top are the most privileged. It has been a long accepted premise that it is necessary, indeed laudable to devote more resources to developing and nurturing talent and to encourage the pursuit of excellence. As such, when one has been deemed capable and “exceptionally gifted” enough for the school to go the extra mile to “meet [your] learning needs”, it seems justifiable to be proud that you are receiving a better curriculum. However, far from enhancing the cherished ideal that is the Singaporean (and Rafflesian) pursuit of excellence, what follows from this institutionalisation of superiority is a school-policy-sanctioned sense of exclusivity and entitlement that actually fundamentally serves to undermine it. The Rafflesian pursuit of excellence is a cherished ideal where everyone, not just a select few, has opportunities to “strive to give nothing less than they possibly can” as Mr Eugene Wijeysingha, our former headmaster, put it so eloquently. This means opportunities made equally available for everyone to excel. Separating out RA students, and providing exclusive, tailored opportunities might also mean giving opportunities to individuals who might not cherish and want them the most. It puts pressure on these privileged few to take up these opportunities they are not particularly interested in, leading, in some cases, to half-hearted participation in activities and enrichment programmes, and even to complaints. The RA programme can actually create a pressure to conform, leading to what I argue can at times translate into a sentiment of being trapped by the establishment, in particular to a culture of competitiveness where students compete to take up every single available opportunity, with those doing anything less seen as not being sensible. Furthermore, it is undeniable that however exclusive RA classes are, there remains perhaps one unavoidable similarity between any average class and a RA class: differences in relative ability exist. There are the talented, the average, and the less able. With a smaller class, and higher standards, competition is fiercer; pressure mounts, and confidence suffers. Contrary to traditional belief, studying with the brightest may not be the best; coming up against higher-achieving peers could have a damaging impact on the confidence of those pupils who believe they are in the bottom half of their class. For the RA, with smaller, more competitive classes and higher expectations, this is especially astute an observation. And finally, I argue that when all RA students are in the same class, there is excessive intellectual homogeneity. The classroom becomes a cocoon, its residents with similar academic mindsets, interests and talents. The PW aim of working with people of “different backgrounds” no longer seems to matter much when the class is small and everyone is academically more alike than different. This is exacerbated by the skewed gender ratios in certain RA classes leading to all-male PW groups, which, in theory, are supposed to be specifically prevented during the grouping process. With a class of individuals more similar than different in backgrounds and interests, I question if the RA curriculum has sacrificed developing soft interpersonal skills in favour of hard academic aptitude. After all, these skills, developed through working with people from diverse backgrounds and characteristics, will be far more important in the near and far future than, possibly, getting a headstart in the university curriculum. Does the RA curriculum’s intellectual homogeneity and fiercer competition entrench a skewed definition of success, with what may be viewed as more than acceptable by the average achiever considered far from acceptable by the RA student? These are questions worth trying to answer, or at least reflecting upon. Till this day, I firmly believe the Institution, in privileging certain more capable students with RA status, forsakes equality to enshrine the maximal pursuit of excellence. I can only suggest that at the very least, it should try to ensure that the RA, and its exclusive privileges, do not inadvertently result in a false sense of insulated superiority. Inculcating an awareness of the very act of this privileging, and the detriments that certain unavoidable features of the RA programme also bring, would go a long way in bridging the gap between the haves, and the have-nots. The author would like to acknowledge the RA and non-RA students who have assisted him by providing information for this article. You may want to take a look at another point of view offered by another of our authors. it’s a simple issue of resource allocation. in an ideal world, all the privileges that they receive, such as a smaller class size, enhanced curriculum, special training for competitions, should be available to all students. but the number of tutors, classrooms, and even time itself is limited. As such, it would make most sense for the school to dedicate her limited resources into students that are assessed to be best able to benefit from it. of course at the same time, the school should try to expand its assets to allow it to move towards the ideal state. but that takes a lot of time and money, and is certainly a topic for another day. opportunities to get these resources (i.e. to get into the programme) are equal to everyone, at least for what is within the school’s control. I believe your larger point is that in the midst of this inevitable favouring of the few, how do we continue to remind them that they are, in fact, the privileged, and not the entitled. The article is indeed an interesting read, and you have raised several salient points which highlight the purported privilege of RA classes. However, you may also consider the argument that selection tests for RA students are open to all and thus, arguably, everyone has a fair chance to get in. The fairness of the establishment of RA classes is rather subjective, in that some may think that everyone can take the test so the playing field is level, while others claim that it is unfair since some students are inherently smarter than others. Personally I feel that as long as one has the enthusiast and is willing to put in extra effort, he or she can definitely get into the curriculum, which provides myriads of avenue for students to delve into their bailiwicks, be it maths or physics. While it is true that separating RA classes from the rest of the cohort is somewhat irrational as seen in the instances such as earlier class camps, it is definitely myopic to overlook the benefits RA provides to students who are genuinely interested in certain subjects. Nonetheless, there is not a big difference between RA students and others in terms of their effort at school, since everyone in RI has different areas to work on and all Rafflesians supposedly endeavour in various aspects, including academia or sports, etc. Similarly, Humanities Programme also provides students who are willing to further their studies in humanities with a beneficial platform. A very interesting article. However i disagree with your point that there is excessive intellectual homogeneity in RA classes and therefore PW does not achieve its original pupose of providing opportunities for students to work with people from different backgrounds. Firstly, having similar academic interests does not mean that RA students necessarily employ the same methods in dealing with problems arising from PW. You might be surprised to find out the diversity of problem solving skills used by seemingly similar students. Moreover, to be honest, RI itself does not have a very diverse population. At least generally students are very academically oriented (the number of.students living in landed property is also disproportionately high). And since PW groups are formed within classes, we naturally expect students who are more intellectually similar (who take similar subject combinations) to be in the same group. Hence, the ideal that PW allows students from diverse backgrounds to mingle is constrained by such reality. In all honesty, if this guy really felt the gap between RA and non-RA, wouldn’t he not feel the even wider gap between being in an elite school and a neighbourhood school? So what is he even doing in RI then? I agree that the RA class should be more inclusive and open opportunities to other students as well. However, the presence of RA is necessary, as it provides opportunity for students passionate in a particular field to grow and stretch themselves further. Your article has raised many valid concerns regarding the Raffles Academy programme. Being a non-RA student for two years in Year 3 and 4, I share many of your thoughts and sentiments over the “unjust” and “elitist” benefits that are accorded to them. However, after becoming a RA student myself and thinking on the foot of a RA student, it becomes clear that many of the rumoured “privileges” are not exactly granted to RA students because they are the selected elites. Contrary to your claim, they are just another integral component of the Raffles Family. 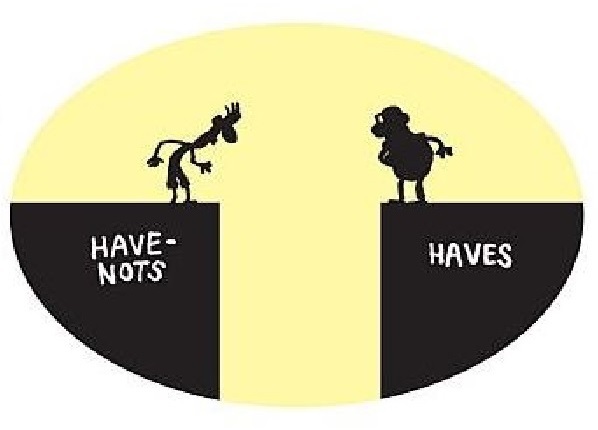 This “have” and “have-not” gap is largely an illusion created by RP students themselves. Being a RA student, to me, does not elevate myself one class higher than the rest. Rather, it simply shows my identity as a Rafflesian who is keen in research and science. Just like being a core member of a sports CCA reveals something about your interest, being in RA also reflects one’s interests more than one’s academic achievement. Admittedly, RA students tend to have good academic records, because in order to conduct research and study advanced sciences, it is necessary for them to have a sound foundation in basic knowledge. However, I argue that RA is not the only group of students in RI who excel academically, and not all RA students excel in all other subjects besides their RA subjects, so it is inappropriate to tie the status of being a RA student and getting straight-A results together. This misconception not only creates stereotype amongst non-RA students to brand RA pupils as the “elite”, but also imposes undue pressure on RA students to excel in all subjects. In many non-RA students’ point of view, those research programmes (such as the bio research programme as mentioned by the author) and the SPhO training sessions are the privileges, amongst others, enjoyed by RA students exclusively. However, this is just yet another misconception about these activities. Many of those training programmes and Olympiad representation opportunities are open to many competent non-RA Rafflessians as well. For example, the SPhO training programme on Monday after school allows many interested students who are not in physics RA to join. The number of this group of students is rather small, but this in fact reveals the reason why it is not listed publicly as a Monday Enrichment Course—-Physics Olympiad requires especially large amount of contents to be considered as a given before sophisticated calculations can be taught to students. (which is largely different from Chemistry and Biology where content is of greater importance as compared to calculations) As such, it is extremely hard for students who are not physics RA to catch up with the training pace unless they put in lots of effort after school. This design shows the school’s careful deliberation in all these programmes. The decisions by the school are usually results of logical reasoning rather than elitist discrimination. Furthermore, a common logical fallacy that people often fall prey to is the “Grass on the other side of the hill is greener” mentality. While RP students “envy” the enrichment classes that are offered to RA students, they invariably ignore the huge amount of resources dedicated for various remedial classes, which most RA students are ineligible for. In these remedial classes, students are tutored in small groups and tutors are especially designated to help them with their scores. Besides these free extra tuition, there are large CCA grants to sport CCAs as compared to academic CCAs where most RA students are concentrated at. The school offers its help to differently inclined students in different ways, but no one is left behind. Choosing not to become part of RA is telling the school that one’s interest is not exactly in advanced sciences or research arena, so it is natural for the school to come up with other ways to help these students. As for the class size problem, it has rather practical reasons as well. If you ask one of those who actually applied RA with a non-traditional contrasting discipline subject, they will tell you that they have been called by school administrative staff to consider a change in their subject combinations if possible due to timetabling issue. This demonstrates the reality of the constraints of timetabling issue. It is not a falsified reason to assemble elite classes, and there is also no reason why the school wants to create so much trouble for itself to assemble these “elite classes”. Many of the special treatments listed in your article are not really an entitlement to RA students but are just out of necessity. For example, the class camp of RA classes are held earlier in the year together simply because many of these RA students need to fight for the glory of Singapore in International Olympiads and competitions and cannot afford a common time slot for class bonding later on in the year. In order to maximise the possibility that the entire class can attend the camp together, it is reasonable for the school to schedule the class camp in such a way. Again, why would the school want to take all the trouble to do that if there is not practical reason? And what’s the benefit of having class camp earlier or later? Not much difference to me. The math lecture group size is simply another result of timetabling issue. They can’t be put together with the mainstream. I understand that many people view this as an unfair advantage. I think probably it is an advantage to RA student in this case, but it is in no way intentional. They have a small size lecture group not because they are entitled to, but because they are forced to do so by resource constraints. It is also commonly believed that the RA programme force feed RA students with opportunities while denying others who may be deserving. However, I doubt the existence of such “exclusive” programmes that only RA students may take part. As far as I know, most of the programmes are offered to all, but just that more RA students end up signing up for the science-related programmes. Take the example of the recently held water conference, although it is advertised to the whole school, the backbone of the organising committee still end up with mostly RA students. Those research programmes such as NRP, SRP or YDSP are never offered covertly to RA students only but to the entire student population through Stamford, morning announcements and other means of communication. I am afraid that the very existence of such exclusive opportunities which are supposedly unreachable to RP students is in doubt. The rumour about these “exclusive programmes” is yet another shackle that many non-RA students put on upon themselves. In RI, my experience tells me that to excel, you only need to be enterprising and work hard. Some non-RA students, although small in number, often attribute their non-performance to the fact that they are not in RA and are not offered tailored training. Admittedly, some of the trainings are not open to all, because they require quite a lot of foundation to begin with. However, if you can prove your ability, the school will not leave you behind. I was involved in no RA at all in Year 3 and 4, and I was not even in an academically inclined class, but trainers at SJPO or SJChO will not bar me from attending the training because I am not in RA. And I did fairly well in them, and I was invited to join the RA training in the subsequent year. I feel no inferiority before a RA student, because I work hard and I do not give up because I am in RP. The Year 5 intake is the perfect opportunity for people who are not in RA but have the heart in science and research to join, and for people who were in RA but found that advanced science is not exactly their interest to quit. It is a good sign that many people do not regret when they decided to quit, because it shows that they had made a good decision. It shows nothing about the quality of RA curriculum, but just that RA is not for them. The large number of students who decide to continue with their RA subject to the Year 5 and 6 prove the quality of the RA curriculum and the faith they have in the RA system. Finally, addressing your concern that RA classes are too homogeneous, in terms of gender, academic mind-sets and interests, I would have to assert my personal belief that putting like-minded people together will benefit their development. It is obvious not a good idea to lump all students, regardless of their interests and idiosyncrasies, all together. Their communication may not be effective and class bonding may be unnecessarily weak. Critics may argue that this is the opportunity to train them to adapt. However, this random mixture poses the realistic problem for the teacher to care for the class as a whole, because it is simply not a class but in name— they have nothing in common! Extra-class friendship may just prevail and class can be degrade into a useless formality. Skewed gender is not a problem with RA programme, but a natural difference observed in sciences and arts. Not many girls excel in sciences, so you see the skewed gender ratio in RA classes, and not many boys are inclined to study art, so comes the large girl-boy ratio in some art classes. Unless one is to break up all subject combinations and assemble classes randomly, I don’t think gender ratio would be flat even if RA system were not there. Furthermore, I think it is necessary that clarify that RA students are not homogeneous. Just as people who are good in sports may specialise in different area, RA people specialise, too. In RA classes, PW just presents itself as another form of challenge. All members have their own points of view and want the project their own way. They need to learn to compromise and accept other’s ideas. Academic inclination is hardly a person’s whole personality. Judging from their similarity in academic interest to the conclusion that they are similar in the whole is far too hasty. I applaud the author for being so courageous and for having the balls to take such a controversial stand. I agree with him and find it unbelievable that RJ has created a subset of ‘an elite within an elite’ with these programmes. The big problem here is inequality. The RA programme is essentially an enrichment programme which can be open to any student who is interested in the form of extra classes or lectures after school. Granted that these extra classes would have to compete for time against CCAs and other stuff, but it is more important to cater to those who are interested. As for those who claim that the academically less inclined would not be able to handle the advanced subject material, seriously shut it. Einstein and Newton were absolute dunces in school and would most probably not have qualified for Physics RA in its current form but their contribution to physics needs no elaboration. The whole issue as it stands is our education system’s penchant for picking winners at a young age and then to continue pumping resources into them so that they can pass tests of continually increasing difficulty as set by the system, thereby proving the system’s ‘meritocratic worth’. I do not think having an elite is bad but it is ridiculous to transfer resources to the elite over what is necessary to let their talent bloom and then set the elite apart from the perceived plebeians. The RA programme is symptomatic of our education system’s tendency to do just this. At the end of the day, I may be wrong and I am certain many people would hold that view but I am glad that the author has dared to speak up to initiate a discussion on this issue. I wish to make clear that I believe that there is absolutely nothing wrong with joining RA if it is in a Rafflesian’s best interest to do so (or quit RA if he or she finds that programme isn’t what it’s made out to be). I just question the exclusivity of the programme when it could have been designed in a more inclusive manner. This is a very controversial article indeed, as evidenced by the number of downvotes and similar number of upvotes. I just wish to point out that the purpose of downvoting an article should not be to express one’s disapproval or disagreement with the author’s stand. Rather, it should be used to indicate that the article is of bad quality, or does not add value to the discussion. This allows more contentious views to be voiced out — isn’t that the one of the purposes of the Internet or a forum?